A quick view of the most influential metrics in Harvard Square. 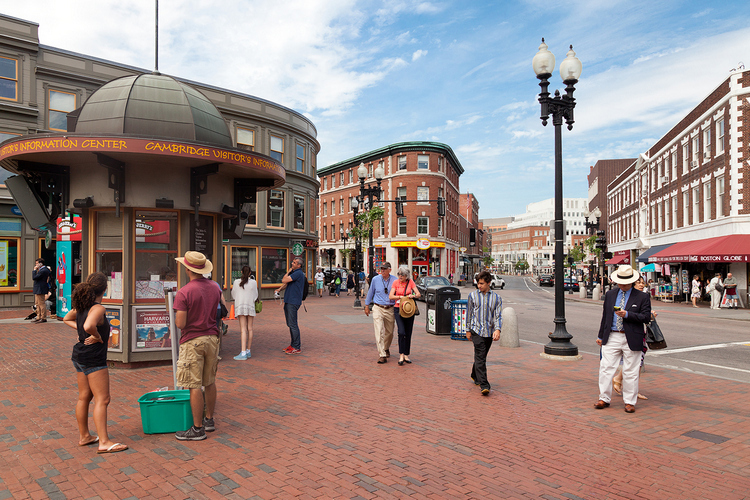 Harvard Square has everything you need from shops and newsstands to fitness studios and bars. Additionally, this area is a lively neighborhood serving students, commuters, and professionals. Harvard Square is home to the Cambridge Public Library, Harvard University, and has a stop on the Red Line. Whether you're looking to grab a drink with friends or check out a local bookstore to pick-up a new novel, there's always something to do in Harvard Square. View our selection of available properties in the Harvard Square area. Check out the latest demographic information available for Harvard Square. Learn more about schools near Harvard Square complete with ratings and contact information. Browse through the top rated businesses in the most popular categories Harvard Square has to offer.